It’s almost time for the Sioux City annual latke dinner. Taste delicious potato latkes with all the fixings. I like mine with sour cream. 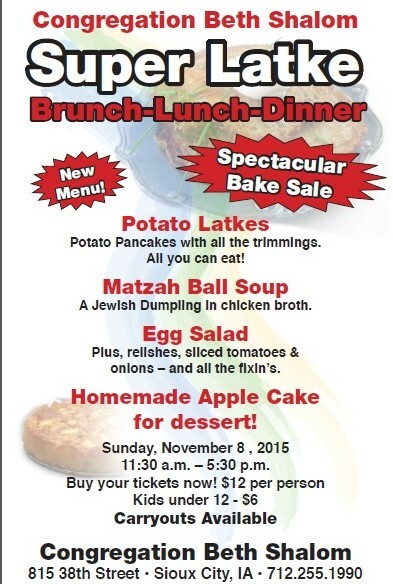 Sip homemade broth while you dig into mouth watering matzah balls. I hope to see you there! Bring your friends! Yeah, it happens. You write a story. You force a character to be one way to make the story work, but then after rounds and rounds of edits you keep getting the same feedback…. Somethings wrong. Just happened to me and I finally realized that my story is being forced. This is kind of like the kill your darlings, except you realize you have two totally different stories happening and are forcing one story to fit into the other because the center point of your story really is just a cool device of the imagination. After SCBWI-IA and listening to Susan Campbell Bartoletti (www.scbartoletti.com/), I finally got the courage to rip the story in two. Literally. The story has two great elements. But they don’t go together. However, on their own they lead into two very different stories. Susan said, and I don’t quote directly, but close: I never waste anything. She talked about how she takes something from a journal, daily poem, abandoned story, or writing exercise and recycles it. I’m so glad I listened! And even happier I attend conferences. What do you do when your story isn’t working?